This model is 175 cm and wears a size S/P. Their chest measures 81 cm and the waist 65 cm. 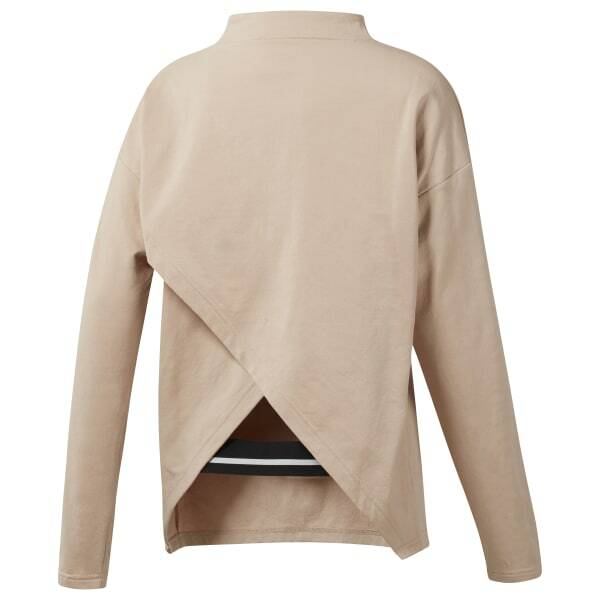 Effortless layering just got easier with this mock neck sweatshirt. An overlapping design at the back features a patterned elastic gore for slipping this top on and off in a fashionable flash. Soft comfort and classic good looks give this must-have top all-season status.